In my previous columns, I have advocated and promoted psychological health and safety as a vital part of safety programs, and highlighted the willingness of workers in not-for-profit, social services and medical sectors to overlook risks to their own health and welfare in favour of caring for clients and patients. During a recent gathering of colleagues in safety and risk management, I realized safety leaders often expose themselves to these same risks. But who is looking out for the health and safety of the health and safety leader? Safety leaders have the same concerns and personal level of responsibility for their co-workers that social workers and medical workers have for the individuals they are serving. What is missing for many safety leaders are the cultural supports that are needed for them to do their work. This is resulting in the same psychological safety hazards that are seen amongst the staff they are trying to support. Burn out, fatigue, disengagement, stress and post-traumatic stress disorder are among the few symptoms that can be seen in workers in this field. This is not the case for every organization, and my observations are purely subjective, but we all need to be aware of how the lack of commitment and cultural support for health and safety in an organization affects everyone in an organization. In organizations new to integrating health and safety as part of their process — and those with limited resources — it has not been unusual for me to observe a professional dedicated to the health and safety of those around them, yet damaged by the push and pull between non-aligned expectations of multiple programs or departments. These same professionals often find themselves working extra hours, responding to more after-hour calls and taking on larger workloads, all in an effort to inch their process forward. It is those same safety professionals that need to step back, consider their work-life balance and perhaps modify their expectations of themselves if they are going to avoid the negative impacts on their psychological health. If your organization is among the many with an immature safety program model or in the beginning stages of launching a health and safety program, here a few things to consider in creating that cultural support needed for success. CHALLENGE: Safety professionals’ perspectives often don’t seem to align with the perspectives of those within an organization. They are often perceived to be negative, opposing, and even adversarial, which is not a perspective that garners respect or appreciation at any level of an organization. SOLUTION: Understand and communicate to your team that part of what makes a safety professional (and other risk management professionals) effective in their role is their ability to see that negative side of a scenario and to consider scenarios and results others don’t even want to think of. Without that perspective it is easy to overlook problems and hazards resulting in increased risks. Joining this opposing perspective with the positive perspective others have is what leads to collaborative solutions. SOLUTION: Safety leaders do have some ownership of the risks, but no safety program can be effective if everyone doesn’t assume some ownership of the risks. Safety is everyone’s job. CHALLENGE: Safety leaders are expected to create and implement safety programs, but not provided with the authority to do so, requiring them to work through others. This leads to delays, frustrations, dis-engagement in the process, and often failure. SOLUTION: The Safety Leader is one of the only roles (aside from a CRO) in an organization that is dedicated to a risk perspective. To be effective the safety leader has to have a seat at the table to provide that objective perspective and effectively collaborate with other leaders. 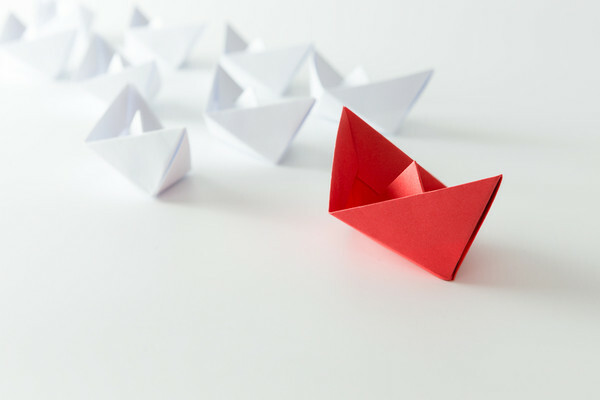 Regardless of where the position of the safety leader falls on the org chart, the tone of the executive as it relates to health and safety is vital to the success. CHALLENGE: Safety leaders are often front-line when incidents occur, and if not front-line, they are involved in the incident investigation. There can be negative impacts to a person’s mental wellness every time they deal with one of these incidents. Additionally, safety leaders are often in a reactionary role, especially in immature systems. As one of the few contacts for incidents they often deal irregular work hours and disturbed sleep routines. SOLUTION: Support your safety leader by making sure the same supports and controls are in place for his role that he is attempting to put in place for the rest of the employees. The role of a safety leader can be high stress and may lead to health impacts on the leader and on an organization’s health and safety program. The establishment of organizational cultural supports, providing a voice at the table and a clear unified message from senior leadership will move your health and safety program forward in leaps and bounds. It will also provide the tools needed to support the psychological health and safety of the person taking the lead in your program.